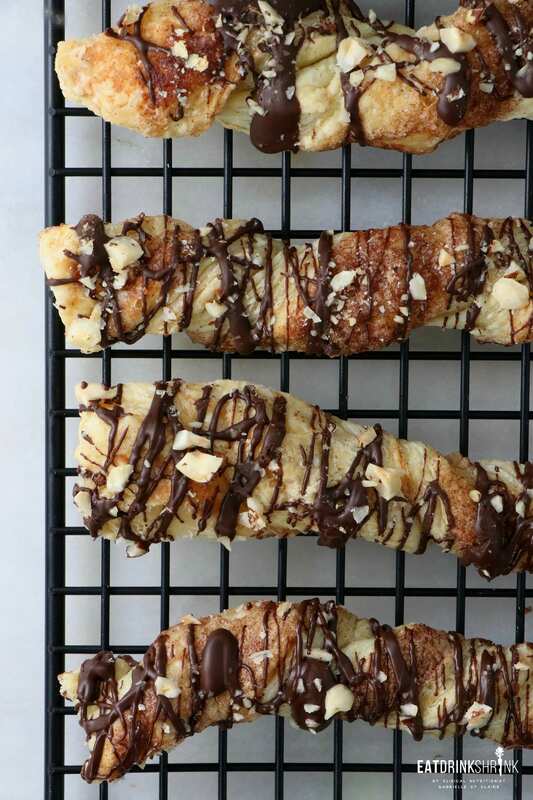 Vegan Dark Chocolate Hazelnut Cinnamon Twists - Eat. Drink. Shrink. I don’t typically post on a Saturday, but this concept was perfect for a weekend brunch! When it comes to a weekend brunch, I rarely indulge in pancakes and generally stick to my normal routine of avocado toast. (so basic). 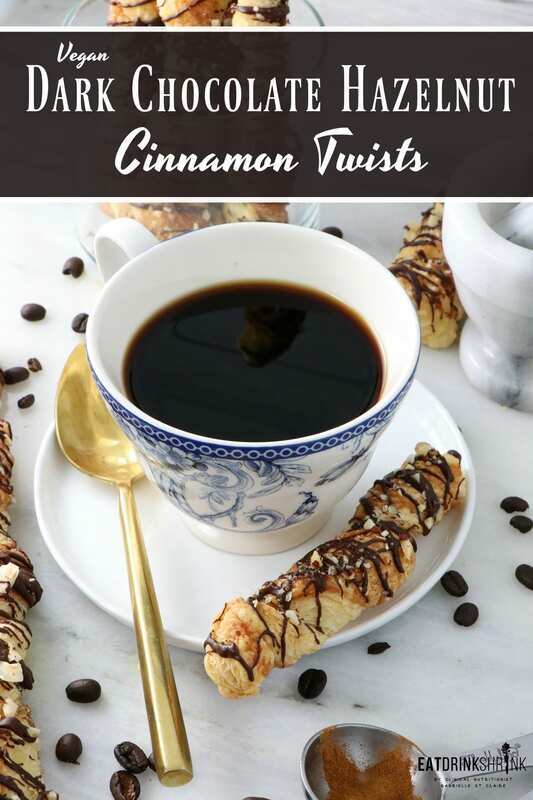 However, there are those times that I crave a bite of something sweet and these cinnamon twists came to mind! Early last year I discovered that frozen pastry dough is actually vegan. Ironically, I rarely saw recipes including it and felt the need to explore various concepts. While it’s a premade product and I typically make everything from scratch, homemade pastry dough can be an arduous task and just not practical for many. I love to cook, but can remember the workshop I did at NYU on pastry dough and it just wasn’t fun, at all lol. 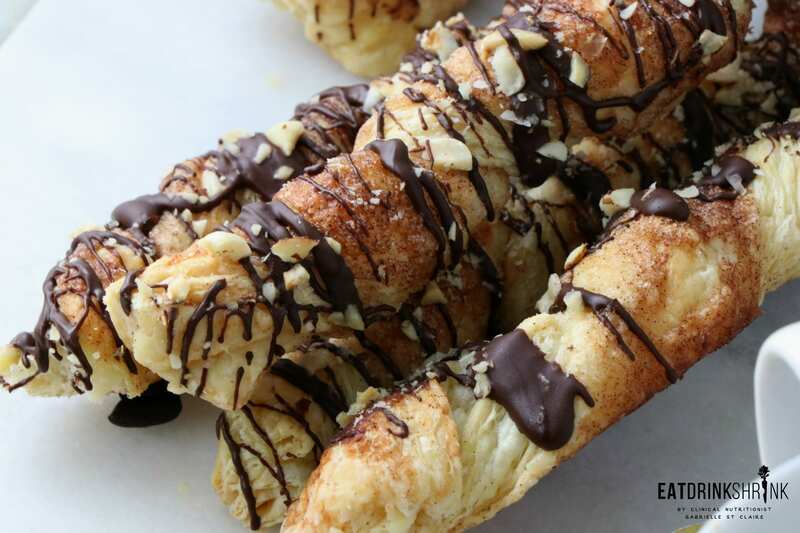 That being said, store bought pastry dough can be a great option! Back in the early 2000’s I distinctly remember these cinnamon twist concepts that were low fat or sugar that were always sold in these bags and came in various flavors. Today my packaged foods are minimal, but I thought the concept of them was so fun, making this recipe a no brainer! 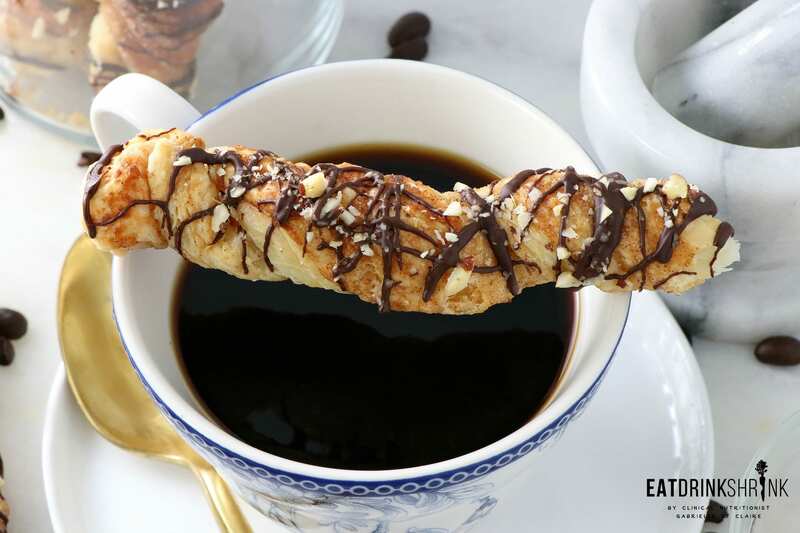 This recipe is a keeper for may reasons! 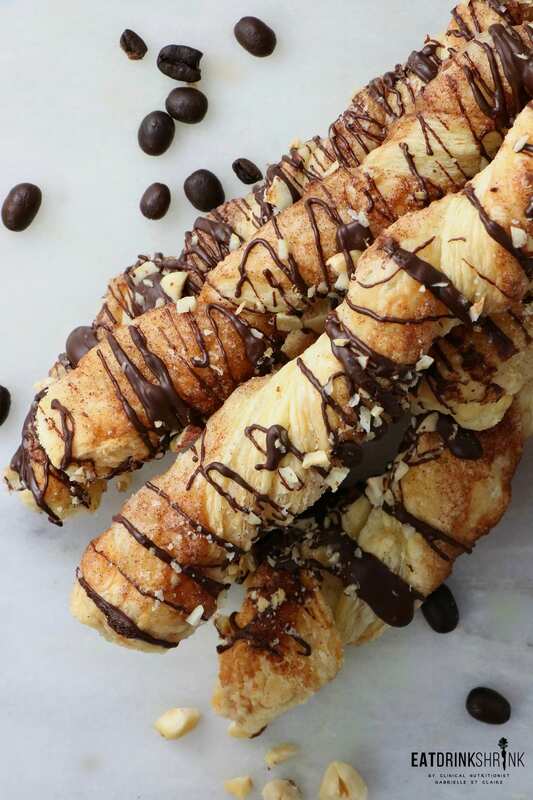 It’s quick, easy, affordable, can be made in minutes, has texture, pairs perf with coffee, will make you look like a pastry chef, tastes like nutella, great for entertaining, and if you want to make the more or less indulgent you can! 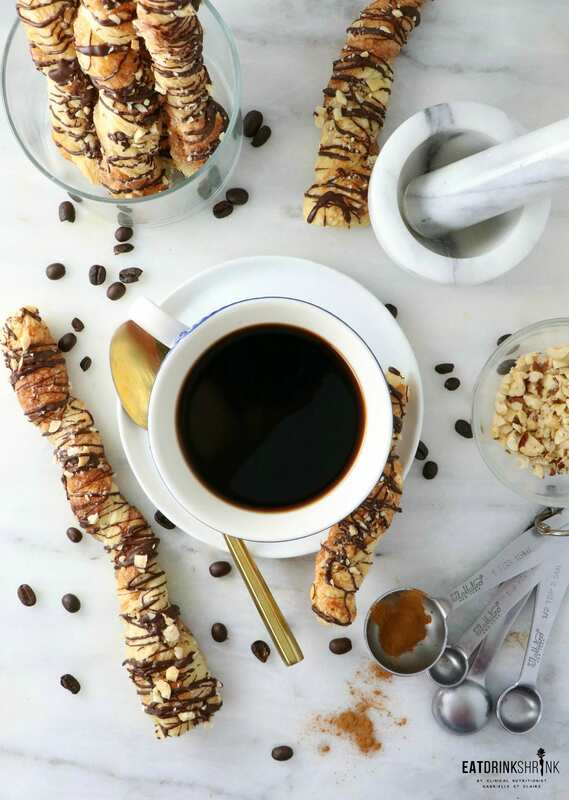 If you’re searching for that effortless vegan treat, this is it! 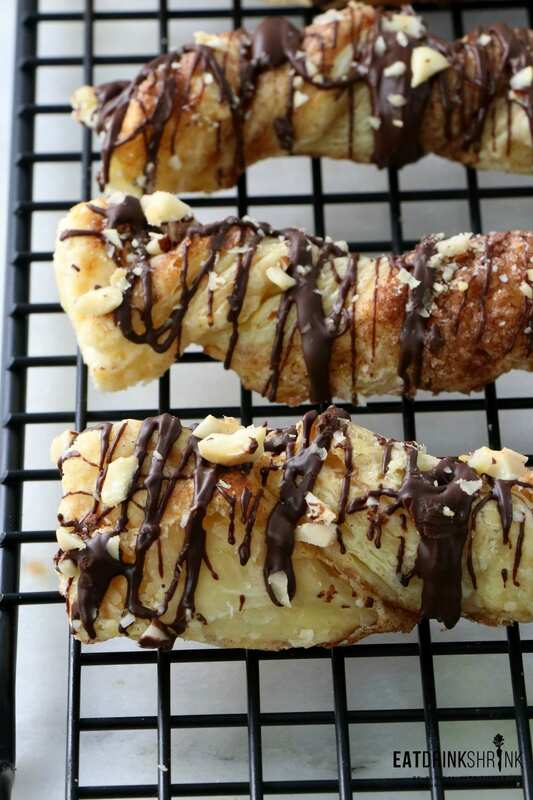 You have to try these vegan Dark Chocolate Hazelnut Cinnamon Twists! You can skip the chocolate and nuts if you want to reduce calories! Allow sheets to come to room temperatures. Brush with melted vegan butter and sprinkle with cinnamon and sugar mixture. Create 1 inch slices (you'll get about 6 per sheet). Starting from the middle, use both hands to twist dough to the ends. Transfer to prepared sheet, arranging twists vertically. Repeat with remaining dough. (optional: Freeze for 10 minutes to keep more of the twist shape). 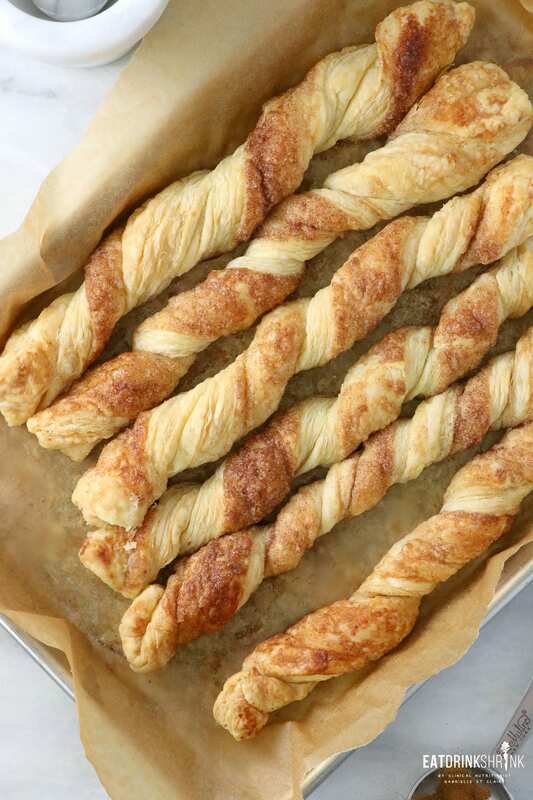 Bake twists, rotating sheets front to back and top to bottom halfway through, until golden brown and beginning to caramelize, 18–20 minutes. Using tongs, immediately lift twists from parchment and let cool with 1 end on rim of baking sheet. Once fully cooled, combine dark chocolate with coconut oil in the microwave for 1 minute, combining every 15 seconds to prevent burning until fully melted.